Adopting older children from foster care means an adjustment to new parents, teachers, friends, and surroundings. Here are four keys to smoothing the transition. Brittany, age 11, likes clothes, slumber parties, and keeping secrets with special friends. She is a typical pre-teen, except for one important difference. She is a foster child, soon to move to a new adoptive home away from friends and familiarity. Brittany is one of hundreds of pre-adolescent children, who, because of new adoption laws, is moving more quickly from foster care to adoption. She is being placed across county and state lines, away from the people and things she felt most connected to. How can Brittany’s adoptive parents help her—and themselves—adjust as they open their hearts and home to her? 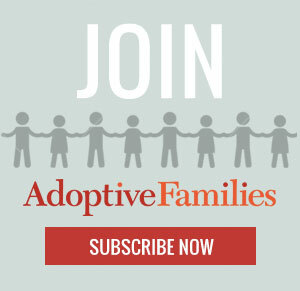 Continue reading “Adopting Older Children – Keys to Easing Adjustment” on AdoptiveFamilies.com.